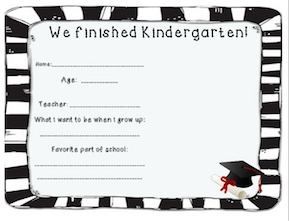 The Best of Teacher Entrepreneurs II: "Kindergarten Graduation Handprint Certificate"
It's almost the end of the year! 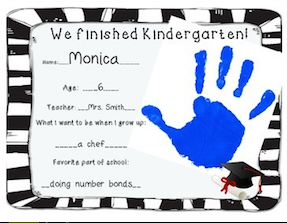 Celebrate with your Kindergarteners with a personalized handprint certificate. Here's an example of a completed certificate. The ones in my classroom turned out so cute this year. Some of their answers will be fun to reread and make the family smile for years!